Taylor Carey and his wife Kathryn Young have been Unitarian Universalists since 1995. They raised their five children in the faith while members of the Unitarian Universalist Society of Sacramento. Their two youngest (twins), Rachel and Rebekah, are CPAs in Sacramento; Netty is a PhD candidate in political anthropology at the University of Florida; John is an environmental engineer; and Jacob is a programmer for the State Department of Social Services. Taylor and Kathryn became members of the UUCM in 2012, shortly after their move to Nevada City. 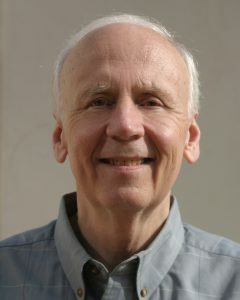 Taylor retired from the California Department of Justice as a Deputy Attorney General in 2013, having also held the positions of Special Assistant AG and Acting Chief of the Department’s Civil Division before joining the Department’s Opinion Unit under then Attorney General Jerry Brown. Prior to his service with DOJ he served for 11 years as Assistant Chief Counsel/Chief Administrative Law Judge with the California Department of Health Services (now the Department of Public Health), and four years as staff counsel with the State Department of Education. 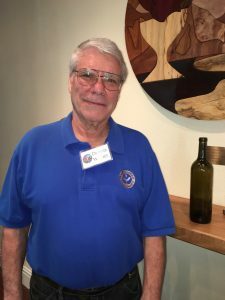 Taylor is currently Treasurer of the Nevada-Sierra Regional IHSS Public Authority Governing Board; Past Chair of the Northern Sierra Chapter of the ACLU; and guitarist/singer with the Banner Mountain Boys bluegrass band. AND, President of the Board of Trustees at UUCM. I am relatively new to UUism. I grew up in the Methodist Church but found it (and Christianity) unfulfilling. I have found in UUCM a strong sense of community and spirituality that inspires me and informs my life. I especially appreciate its emphasis on social justice, particularly its concern with confronting white racism. I served on the Mission Renewal Process team and found working with the congregation in that capacity to be very rewarding. I loved seeing the energy that church members put into that process. I sought this position on the Board to give back to the community and to utilize leadership skills I possess to support the work of the congregation, and especially to help the transition to our new governance plan. I have a doctorate degree and many years of experience in public health education, which entails extensive experience in group process, program planning and implementation, and adult education. I was also for a brief period of my life an ordained United Methodist minister so I have an appreciation for how church polity works. I am excited about this opportunity to serve the community and appreciate your support. Many years after resolving never again to have anything to do with a church, a close friend piqued my interest in the UU Fellowship of Redwood City’s choir. Starting as a visitor I found not only new friends and a spiritual home, but I also met my wife Laura there. Unitarian Universalism has been very, very good to me. The presence of a vibrant UU community was a requirement for us when we chose our new home and moved here two years ago, after my retirement as a software developer for Cisco Systems. I have enjoyed woodworking for many years. Since moving here, I have worked with Joel Houtman to build the memorial tree in the sanctuary. I believe in service. I am on the Arts and Aesthetics committee and the Finance committee. I have been working with our current Treasurer, learning the system, and I am running for Treasurer because I would like to do more for our community. 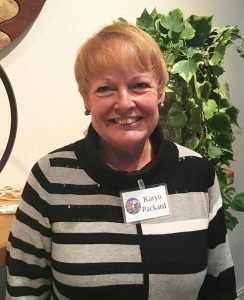 Karyn Packard and her husband Bob have been members for 1-½ years. Karyn is ordained clergy, retired. She was Director of Pastoral Care and CPE supervisor at Long Beach Memorial Medical Center and Miller Children’s Hospital for almost 20 years. Since joining UUCM, she has participated in leading various worship experiences from Solstice to more recently the MeToo service. Karyn is a facilitator for a Soul Matters Circle and administrates the UUCM book club, “Undaunted”. Most recently, Karyn has facilitated two ½ day workshops at UCCM, using MBTI/Kiersey Temperament Indicator evaluation for 60 people in our congregation, with the goal of both self-awareness and team development. Rev. 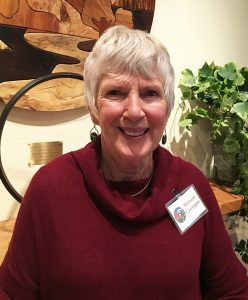 Karyn is also a Board member for the Hospice of the Foothills, and will be their secretary for the next term. She has been active in interviewing candidates for their new Executive Director and Director of Spiritual Care positions. Karyn writes a monthly political book review for the local Democratic Party organization and she and Bob regularly participate in a group of Progressives in Lake Wildwood. 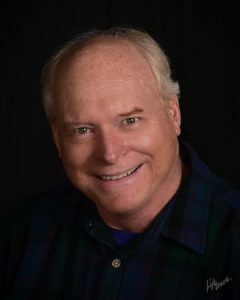 Chuck Champlin is a writer and communications professional who worked six years at the Los Angeles Times as an editor, and a dozen years at the Walt Disney Company as a director of corporate communications. He was raised in a Roman Catholic family; his uncle Joseph Champlin was a noted priest and author in Syracuse NY. Chuck has four grown children from a first marriage. 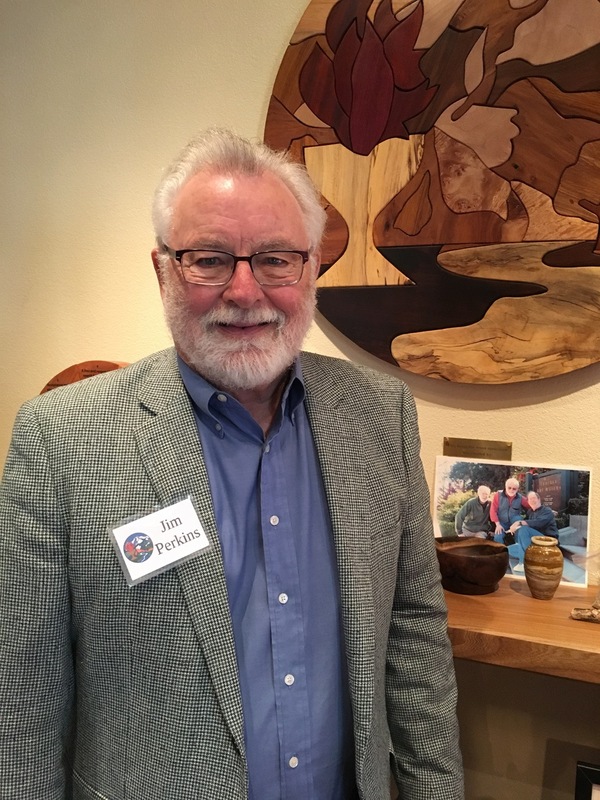 He and his wife Lesley were drawn to Unitarian Universalism at the UU Society of Santa Barbara. They moved to Yuba City in 2014, and commute to Grass Valley for services at UUCM where they both sing in the choir and Chuck serves as a Worship Associate. I loved doing. But, on a vacation to see where my daughter decided to settle, we saw Lake Tahoe and packed our bags. We left family, friends and a community we loved for the irrestible beauty of Tahoe. After 16 years, we decided to retire our skis, put away the snow shovels and move closer to our newest granddaughter. Our new community has much to offer but, for me, the proximity to a Unitarian Church was particularly special. I had been a visitor to several UU churches on both coasts but, never lived close enough to consider joining. After visiting UUCM for a year, I felt confident in becoming a member. Although, the Sunday Services left me filled with the spirit of our wonderful community, my true connection with the Church began with my involvement with the Caring Committee. The name of this committee says it all. It is, indeed, a group embodying compassion, love and service. I hope I will always be a member of the Caring Committee. Last winter, I decided to step out of my comfort zone and became a member of the Stewardship Committee. Now, I was no longer a guest of our Church, but a working member. I learned that saying yes to a necessary – but not alway easy task – had many unexpected rewards. I look forward to serving my UU community in as many capacities as I am capable, and am honored to be asked to service on our Board of Trustees. 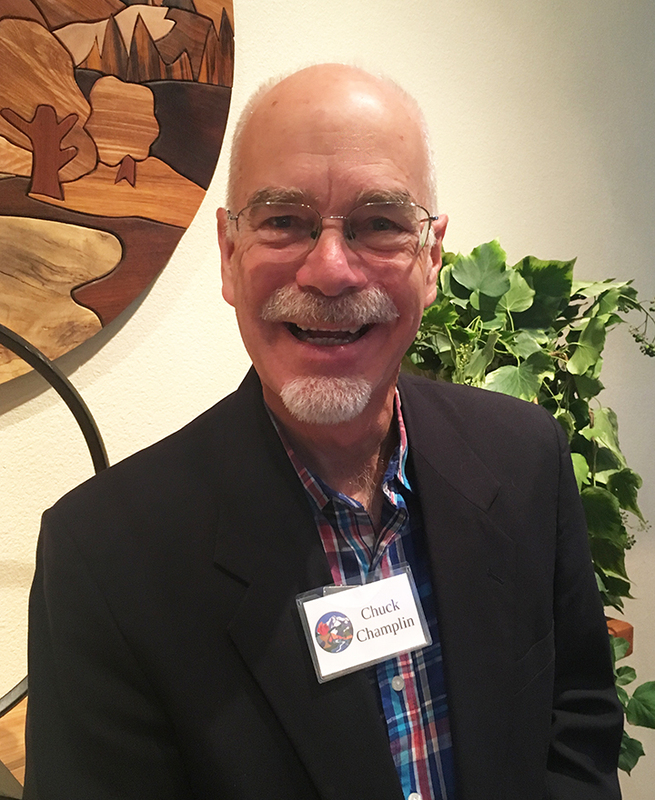 Dennis Weiher has been a UU since the early 60s, with membership in more than a dozen churches in Kentucky, Oregon and California. His significant leadership experience has been in Southern California with roles on the board as Vice President, President, and chair of Facilities, Membership, Leadership Training and Finance. He was instrumental in growing our Thousand Oaks church over a 20 year period from under 30 members to over 210. As well he led the church in purchasing its permanent building and changing the governance model from pastoral to program. Finally Dennis spent 2 years on the Pacific Southwest District board and four more running district Leadership Training Schools.